Buy Aroma Magic Help Me! 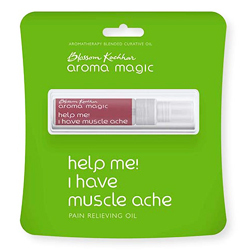 I have a muscle ache - Pain Relieving Oil - soothe sore muscles & reduces tissue inflammation. An aromatherapy formulation made from essential oils of helichrysum, ginger ans sweet marjoram. Potent blend of pure and natural oils helps to soothe sore muscles and reduces tissue inflammation that cause stiffness in the joints. Feel relaxed as the muscle ache becomes a mere memory. Safe and natural with no side effects.